← These are TOPS at NPES! Today was the last day of school for students! I brought a treat for our teachers…much deserved! 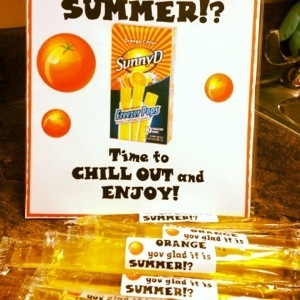 So easy – a Sunny D Freezer Pop with a label that says, “ORANGE you glad it is summer? !” I also put out a bowl of oranges…just because.